21st Atmendment is located in an industrial-ish area near AT&T park and the bridge that connects SF to Oakland. I was able to easily walk to this place from both the Moscone convention center and the ballpark (and back to my hotel, though I'm more willing to walk than some). The interior consists of one half being a u-shaped bar with a handful of TVs opposite a cabinet where you can buy memorabilia. 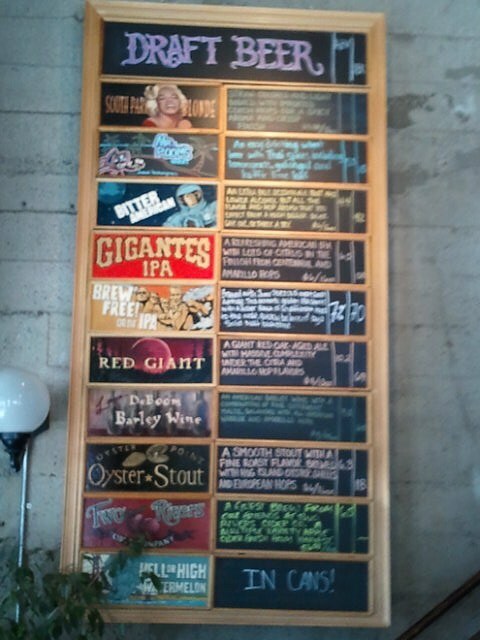 There is a large chalkboard that lists each beer that's available and some details about each beer. There isn't a lot of seating around the bar, but there are a couple tables and some standing area. The other half is benches and tables, along with stairs that lead to a loft above the kitchen. It was hard to get a table or a spot at the bar even on a weekday evening. I had already had their beers from a can in the DC area, so I was familiar with their lineup. They had their regulars of course plus some rotating beers that I'm pretty sure I could only get at this location. Overall I enjoyed going to the place, went twice during the not-quite-a-week that I was in SF, and would definitely go back. When driving through San Francisco, we got to Anchor too late so we had to do a late audible and ended up at 21st Amendment Brewery. I didn't love it. Being in downtown San Francisco, the parking was a bit of a pain, but we didn't stay long so the meters weren't too big of an issue. The whole restaurant was very crowded, so we found a small table on the small, crowded 2nd floor bar. Service was slow due to the crowds, but the bartenders and hostesses were all nice so it wasn't too bad. I had one beer, and don't remember the name (they seem to rotate beers fairly frequently and have a small year-round selection). The beer was well crafted for sure - crisp and flavorful. great atmostsphere, and love the food. Beers were great as expected. I had a Back in Black (Black IPA) which had awesome dark roasty character, but a great hop profile that blended awesomely with the dark malts!! there were a TON of fruit fly's by the bar, which really sucked and was a turn off, but the food and beer were amazing! I had the Rueben, and it was amazing! It was the end of belgian beer month (i think ) in san fran so there were a lot of belgian style beers on tap, which i wasn't in the mood for, but thankfully found the back in black!!! visited this place while at a Giants game. Wow what a place! Fantastic Beer and yummy food! Holiday spice ale: I don't really remember this one and I didn't write anything down about it, so I must not have been too impressed. I tend not to care as much about holiday spiced beers though. Lager: Had a good crisp finish, it was what a Lager should be. Chocolate Belgian Wit: Was alright, well balanced. Sweet but mellow, good chocolate malt and nice body to it. Monks Blood Belgian Strong: A little too sweet, they said they aged this one, we figure in oak chips perhaps. May have been better as a cask. Watermelon Wheat: Nice, good taste, fruity but light, not too sweet. We didn't eat anything here but the food seemed to be nothing special, from what we saw anyway. The only issue we had here was parking. We had to park out front on the street and use the meter. We didn't have a whole lot of change on us so we put in what we had. Unfortunately it was $3.50 an hour, so what we had only lasted about 20 min. We ordered the sampler, by the time we got it, I had to get more change to feed the meter. Then about half way through I had to run out again for the stupid meter. The service was a bit slow, which was why I made multiple meter trips, but the beer was good. Walk here if you can, or take some other form of transportation. If we had more time I probably would have drank more here. 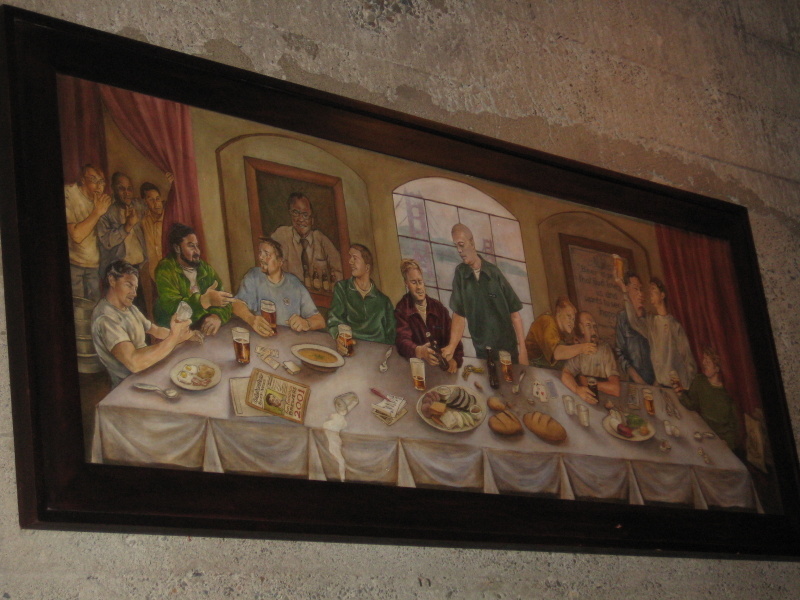 21st Amendment is in a concrete building with a stripped-down modern look inside. The ceiling is tall with exposed rafters and heating ducts. The north wall is exposed concrete with several quite interesting large paintings. 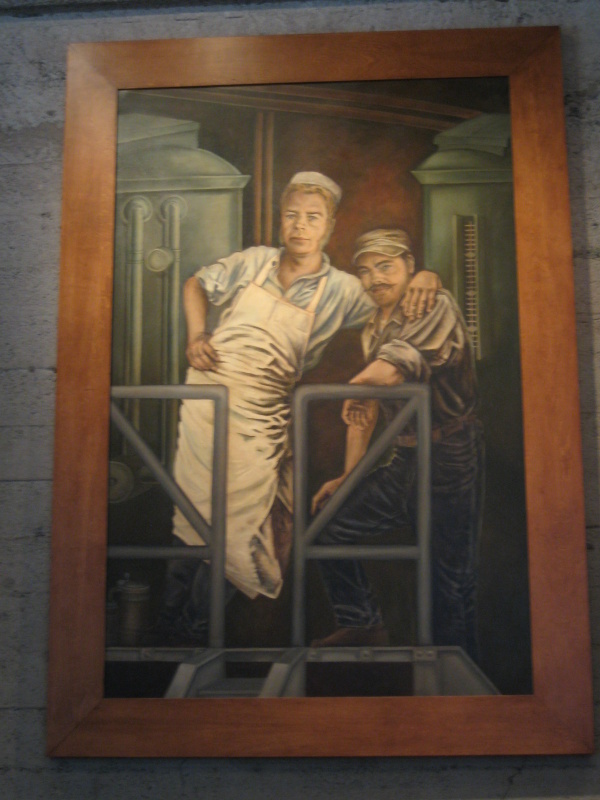 They are in pseudo-Depression era style (i.e., like the murals in Coit Tower and the Beach Chalet) but the themes are current day and represent this space. There are also great frosted glass hanging light fixtures. The south and front sides are all large windows. The floor is polished concrete. The U-shaped bar is in the front. It is light oak with an aluminum colored foot rail and has tall chairs on two sides. The taps and bartender are in the center of the U. Behind the bar is a fairly large dining area with an open kitchen at the back. On a mezzanine level above the kitchen is additional bar seating and several TVs. Thereâ€™s also an impromptu beer â€œgardenâ€ on the south side (i.e., on the asphalt outside). You can see the brewery behind a glass door at the very back of the space under the mezzanine. There were seven beers available plus a cider made by Two Rivers. Two of the beers are only available here. Very oddly for a brewpub, on our visit two of the regular beers (IPA and Watermelon Wheat) were only available in cans! 21st Amendment- as previously said in the reviews, it is a bit of a walk to get to this place, a bit outside the Union Square area of San Fransisco. Overall, the atmosphere was good, not a huge place, but a decent size bar and good vibe inside. 2 beers stood out - watermelon wheat (just because it was unusual, nothing extraordinary- I've had a better watermelon flavored beer at Boston Beer Works) and 563 Stout- had a pretty strong chocolate flavor to it. Everything else was pretty average. This was one of my last place to stop on my personal brewery tour through San Fran. Loved the location right on the bus line which was perfect for me. They had 3 taps going and a few guest taps and the brews where good. They had special Watermelon wheat they had just tapped for the first try of the season. I was there in Late spring so the brewing festivals where coming. Talked with the brewer and had a nice tour. They gave me a couple free pints and I loved the pint glass they gave also. Pays to be nice. Had a small bite to eat and then off to finish my tour of Frisco by mass transit. First thing I noticed was the small patio on side street. Only plastic glasses allowed on the patio. There is a U shaped bar directly in front of you as you enter. There are Tables and small booths behind the bar. 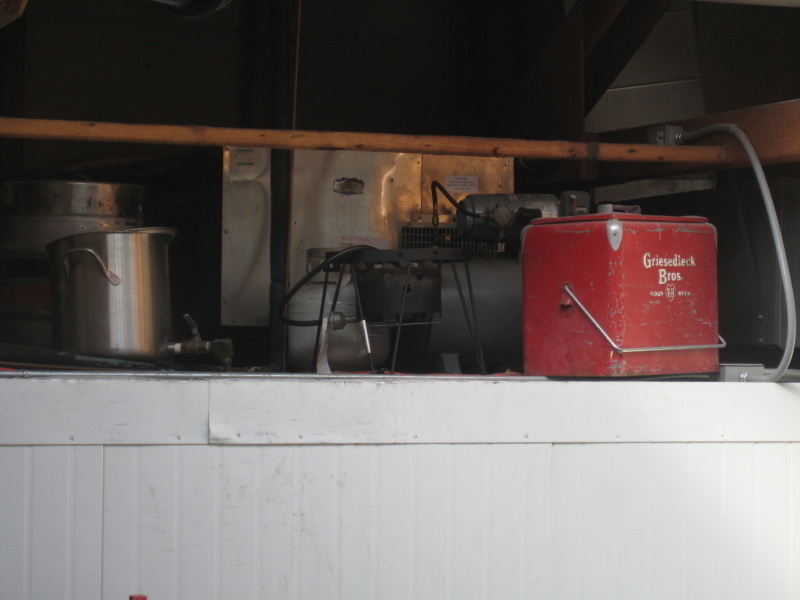 There is also an open kitchen at the back of the main level. Also, more dining upstairs. They had about 7 regulars and several specials. I liked everything I tried. Note that the Watermelon Wheat seems to be the most popular beer by a large margin. 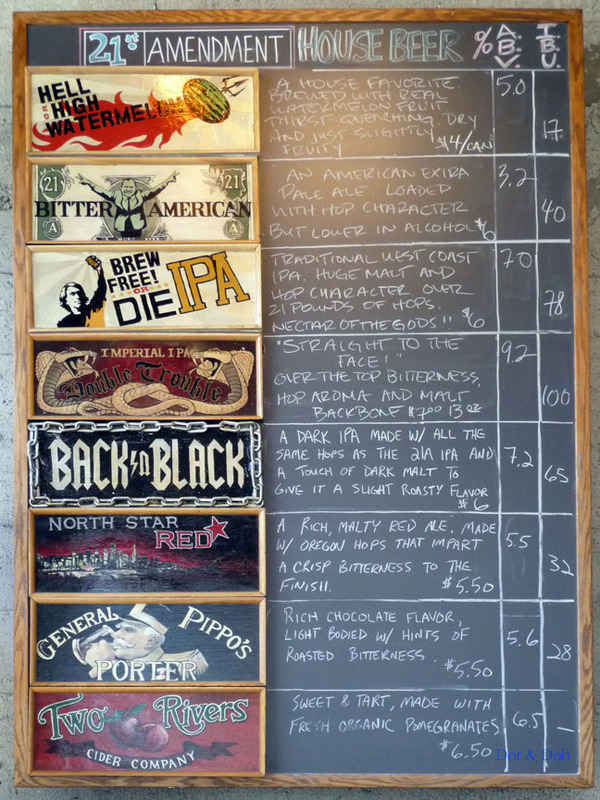 They have a large blackboard that lists the beers and gives some good background information on each selection. I also noticed that they offer growlers to go. The service is friendly but a bit slow. However, I went before a Giantâ€™s game and the place was very crowded. Nice mix of regulars and visitors. I had some really nice conversations with the folks I was sitting next to at the bar. Stone cold classic rock on the soundsystem. I liked the food, I can easily recommend the fish and chips. One of my favorite brew pubs. Beers are generally excellent. I've never felt that they were pushing a beer that was not made well. Good seasonals. They always are trying new things. Food is very good to excellent. Burgers are great. Well made, cooked to order, with good ingedients. Pastas are good. 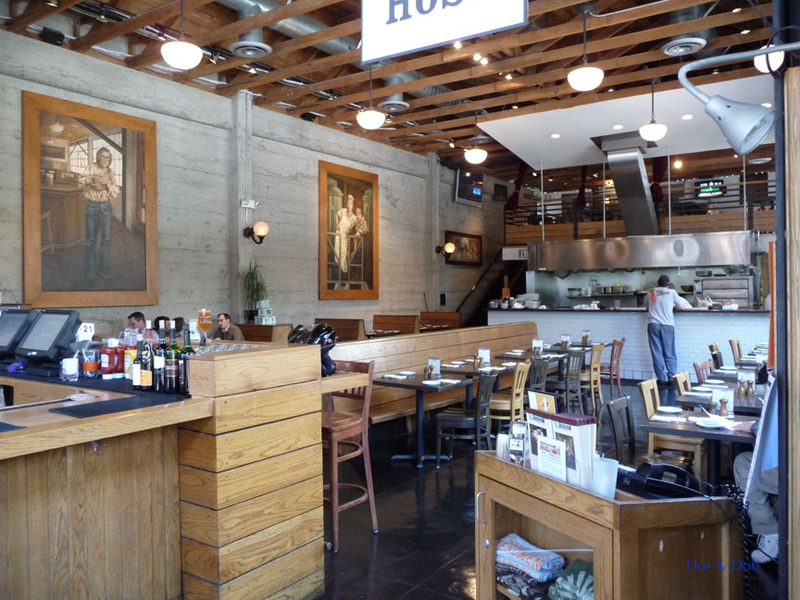 This is a great place to meet before or after a Giants game. Much easier to visit when they are out of town. Atmoshphere is more on the upscale side, but fits very well with their location. This is a nice place. The atmosphere is pretty industrial and modern. They had 8 beers on tap and a nice sampler tray. Like jrfaris said, this is close to AT&T park, so it would be a good place to hit before or after a game. All of the beers were solid and drinkable with the standout for me being the one I expected to like the least - the Watermelon Wheat. It was really fresh and crisp tasting with a great watermelon flavor. Like everything else in SF, public transportation is your best bet to get to this place, although they recently discontinued the bus line we had planned to take (our map was 6 months old), so we had to do a bit of walking. The food was really, really good. My wife got a margherita pizza and I had a seafood pasta special. They were both quite a step up from the "pub grub" we were expecting. Located only a few blocks from AT&T Park, this is a great detour on your way to or from the game. There is a decent bar area plus many tables and several rustic booths. A loft above the kitchen provides additional seating. There is also an outside patio (beer garden) and several TVs if youâ€™re not going to the park. 8 brews on tap including one guest tap (Two Rivers Cider). I liked both the Double Star Imperial Red and General Pippoâ€™s Porter. The game day menu includes typical pub fare and a few additional entrees. We really enjoyed the panino sandwiches. There are different menus for lunch, dinner and Sunday brunch. As with most San Francisco neighborhoods, parking can be difficult and expensive. However,the location is accessible from several transit lines. Check their website for details.